A wonderful Mass setting from the 2018 Pastoral Musician of the Year. 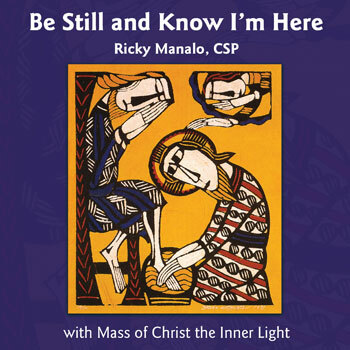 To complement the more contemplative moments provided by the first five songs of Be Still and Know I'm Here, Ricky has composed a Mass setting with gently uplifting movements for choir, assembly and ensemble. The melody follows the pentatonic scale popularly utilized in Asian composition. Mass of Christ the Inner Light is the perfect blend of Western and Eastern musical styles, allowing for an expression of intercultural unity.